Beet greens are versatile like spinach, it can be used in so many different ways. Yesterday I tried it in the traditional “Mor Kootu” recipe. 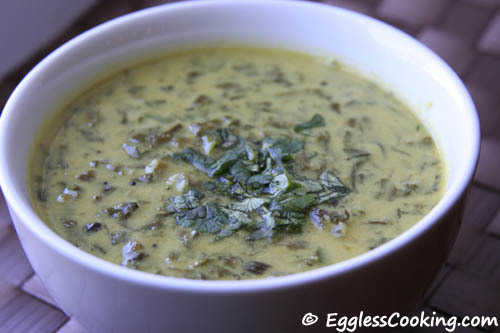 “Mor” is the Tamil word for Buttermilk and Kootu or Koottu refers to a dish with stew-like consistency. 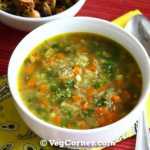 Koottu can either be prepared with a combination of vegetables and lentils (like toor daal, channa daal or moong dasl) or without any lentils. This Mor Kootu falls in the latter category. 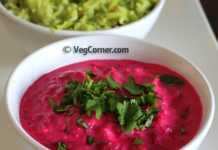 Beet greens are cooked well and mixed together with a spicy yogurt/curd sauce. 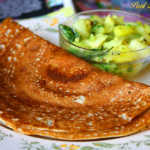 It is served as an accompaniment for rice and is also a very good side dish for Adai. 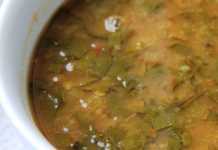 Mor Kootu is generally prepared using any greens, chow chow (chayote squash), green cabbage. 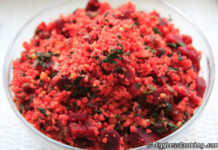 Beet greens are versatile like spinach and try this traditional indian Kootu recipe with Beet greens. 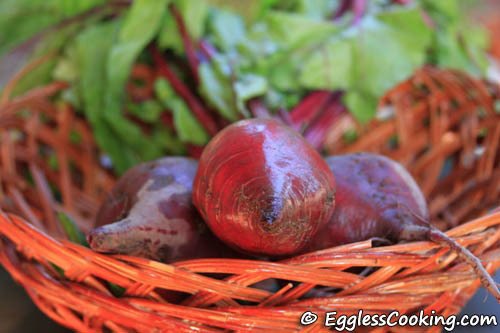 Finely chop the beet greens, both the leaves as well as the stems. Place it in a big bowl and fill it with water and let it stand for at least 5 minutes. By doing this any dirt/sand in the greens would settle down in the bottom of the vessel. Now remove the greens and rinse it in cold water again. I pressure cooked the beet leaves and beet stems together. Add water just enough to cover the greens and little salt too. I left it for 2 whistles. Now grind together the coconut, cumin, chillies, besan. Add little water if required. Mix this mixture with the yogurt and add enough water. This should be in the consistency of pancake batter or even thinner. In a saucepan add the cooked greens, salt and yogurt sauce. Remove the pan from the stove after the first boil. Add coconut oil in a small frying pan. Once it heats add mustard seeds and curry leaves. Once it splutters pour this in the kootu. The greens which I got this time had very thick stems. So I did remove some fibrous strands while chopping it. Usually I pressure cook beet greens and stems for 1 whistle only, but this time I left it for 2 whistles for the same reason. I’m submitting this to Sunshine Mom’s FIC – Green event. Thank you very much for trying the recipe and leaving your feedback, Dee. Thanks for trying the recipe Deepa. I also add 2 spoons of soaked tuar daal when grinding for making moor kootu. i used to discard the beet greens sometimes. sometimes i make like regular keerai masiyal. thanks for a new recipe with beet greens. I have another recipe for kootu and usili also, if you haven’t noticed it already. This sounds like a tasty way to get greens in :). I would love to include your recipe in our pre-loaded Demy, the first and only digital recipe reader. Please email sophiekiblogger@gmail.com if you’re interested. All these days I used to discard the beet greens!! Thanks for the recipe and sending it to FIC – next time I will use the greens for kootu or molagootal! Madhuram, it (WWPF) should be available in any normal grocery store in the flour section, if not try the Whole foods market. They surely have it, at least in the bulk section. 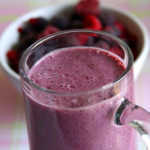 That looks so nutritous! now, I got to find the beet greens! So, how exactly do they taste? Like regular Keerai? I get beets with the greens in the regular grocery store. Usually it’s organic. Also beet greens tastes very much like spinach. My son is allergic to besan. What would be a good substitute for besan flour? 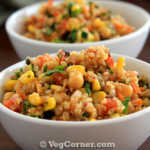 Or,I guess, I could do this with lentils. Also, which coconut oil did you use? Anjali, besan is not a must in this recipe. It’s used to just thicken the consistency of the kootu. You can omit it or use rice flour instead. I use the Parachute brand coconut oil.